No matter whether the weather is sunny or rainy, you must be well prepared so that you can enjoy your outing without any worries. The smartest move will be to get a pop-up gazebo with you. A pop-up gazebo provides you shelter from sun, rain, and wind, allowing you to enjoy our outdoor adventure. You may use it for your craft show or any other outdoor event. Pop Up Gazebo There are 2 products. These Gazebos are New boxed and come complete with a carry bag. 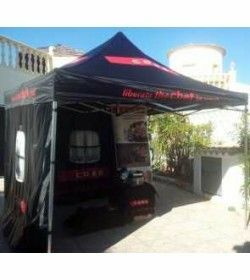 At Garden Furniture Spain, you can buy Pop Up Gazebos that can be installed easily within minutes. And you can relax comfortably with your family and friends in the outdoors. These are also best suited when you don’t want a permanent gazebo but still, want to enjoy occasionally. Our instant pop up gazebos is convenient to use, durable and easy to handle. They can be folded easily and put in a bag that is supplied. It is light in weight and you can very well carry it along to your beach outings or family picnics. 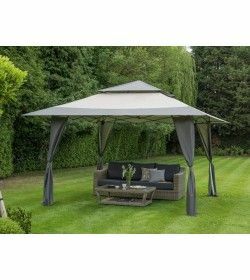 So, without wasting much time, check out Garden Furniture Spain’s Pop Up Gazebo Sale; and you can also buy pop up gazebos online.